and then sought the assistance of this quilts owner to be ....... my teenage son to help with the layout. And, after waiting a couple of hours he did eventually get out of bed (what is it with teenage boys?) and helped with the layout. 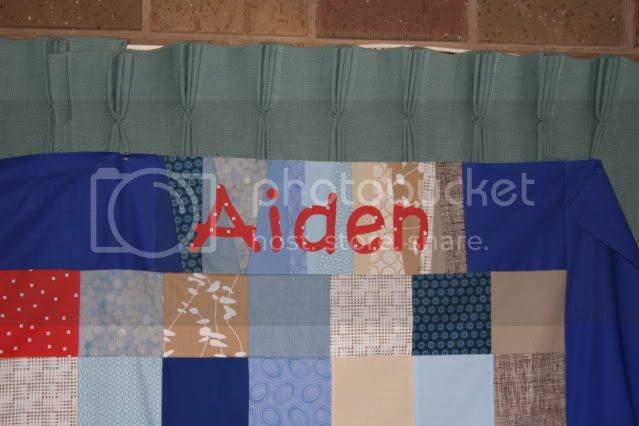 He had a couple of ideas of his own to make this quilt a little more "him" or "his" and whilst I was waiting for him to get out of bed I came up with this, using the scraps as he had said that he wanted his name on it. If I had more fabric I would have loved to have done this all the way around the boarder. He also wanted to add something else, can you see what he added? So as you can see I have done his name in the same Red. It is currently hanging in his room whilst I finish a couple of other things. 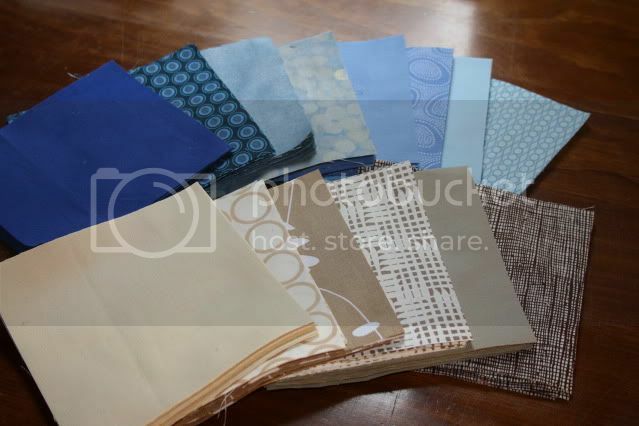 I just need to find a backing fabric ..... hmm Blue or Cream? ..... when I work this out I will then quilt it for him. Lily's Quilts and follow the links. 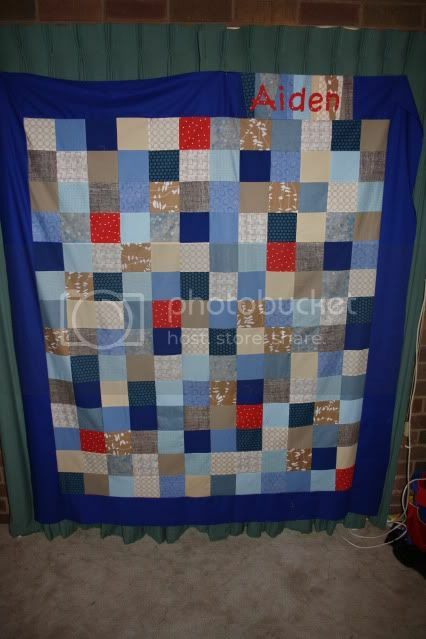 Aiden's quilt is perfect, I can't believe how quickly you get a quilt together!! 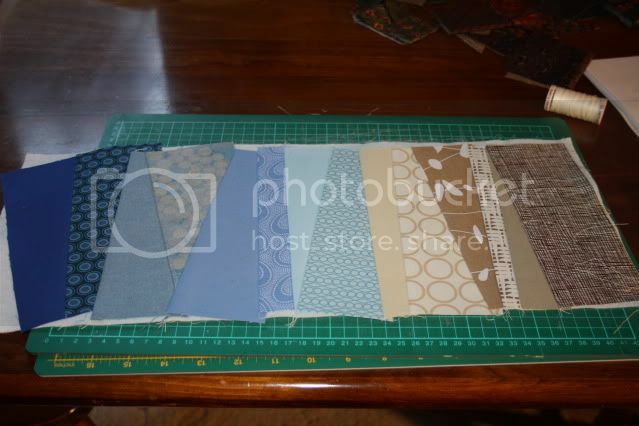 Are you going to quilt it yourself?